Marlene passed away peacefully at East Gate Lodge in Beausejour, MB on Tuesday, February 5, 2019 at the age of 56. She was predeceased by her father Gordon, her brother Douglas, nephew Chris as well as her partner Emile. 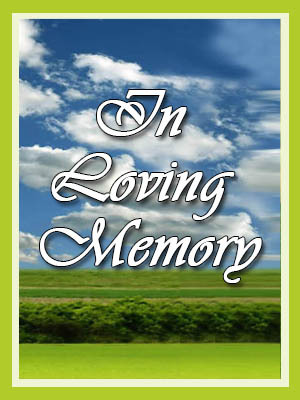 She will be lovingly remembered by her mother Ethel and is survived by brothers Robert (Janet) and their son Blair (Taneil) and their children Kale, Lincoln and Kolby, and Ken (Judy) and their children Josh and Kale (Jaylene) and their children Keirah and Klaire, and sister Eileen. As per Marlene’s wishes, cremation has taken place and a service of remembrance will be held at a later date with her family in Alberta. In lieu of flowers, donations may be made to the Alzheimer’s Society of Manitoba, 10-120 Donald Street, Winnipeg, MB R3C 4G2.